Casidra continues to implement rainwater tanks for food production on behalf of the Department of Water and Sanitation and Breede-Gouritz Catchment Management Agency.These rainwater tanks have become a dire need in the current drought situation whereby every drop counts. This initiative aims to ensure the availability and supply of water as well as equitable and efficient provision of water services at local level and promote sustainable forest management. Water is life and all citizens are entitled to access of clean water and safe sanitation. The water sector also promotes effective and efficient water resources’ management to ensure sustainable economic and social development. 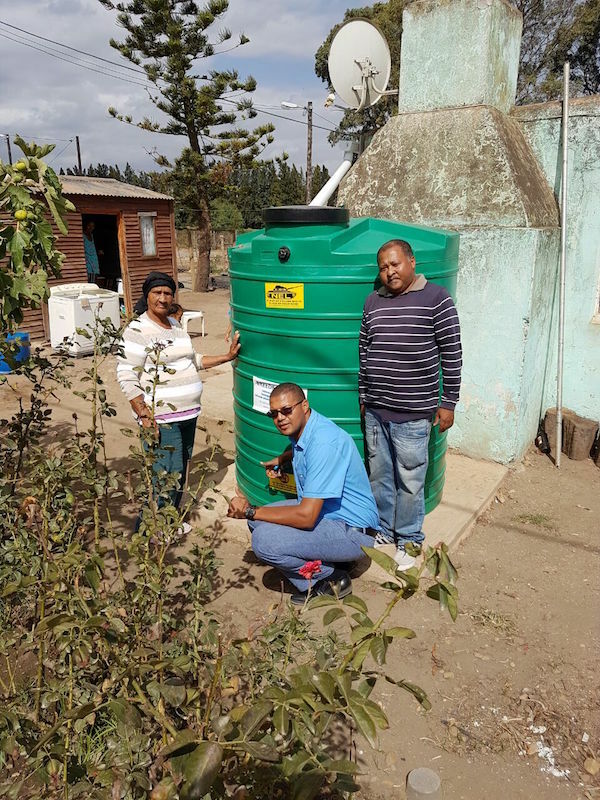 Casidra’s project manager, Michael Mackenzie, confirmed that approximately 265 rainwater tanks were delivered and fully installed to the various beneficiaries, which includes households and schools within the Western Cape Province by Casidra. This programme does not only aim at the delivery of rainwater harvest tanks, but also contributes towards job creation and the empowerment of entrepreneurs within the communities we work with. Therefore, local service providers were used to render the required services. “What is more rewarding to me is to see the happy faces and smiles of the beneficiaries after these services were rendered”, says Mackenzie.